Las Vegas Luxury Homes: The Nevada Real Estate Division issued an opinion this week that a home-owners association’s superpriority lien is limited to no more than nine months of assessments. The association’s lien does not include “costs of collecting” as defined by Nevada law, so the superpriority portion of the lien may not include such costs, the Real Estate Division said in the decision released Thursday. “So basically what they are saying is HOA management and collection companies have been misleading their HOAs the last several years,” said Rutt Premsrirut, who represents investors. “They have been overcharging banks and investors hundreds of millions dollars on superpriority liens for their own benefit.” Las Vegas Luxury Homes. Controversy over HOAs pursuing delinquent assessments centered around the practice of turning over debts to collection agencies and including those costs – which in some cases ran into thousands of dollars – in the lien placed against the property. The advisory opinion clarifies what constitutes a “superpriority lien” and what is not part of the superpriority lien. It provides homeowners associations with a better understanding of the law in order to act in the best interest of members, Real Estate Division spokesman Teri Williams said. Nevada law makes special provision for recovery of past-due assessments through establishment of a superpriority lien, which is superior to a residential unit’s first security lien. Las Vegas Luxury Homes. By giving priority lien status, the law provides extraordinary protection of the HOA’s interest in collection of up to nine months of unpaid assessments. After evaluating each situation, a determination should be made concerning the best course of action, officials said. “It may not be in the association’s best interest to routinely turn over unpaid assessment accounts to a collection agency since the association may ultimately be responsible for the costs of collecting,” said Gail Anderson, administrator for the Real Estate Division. Las Vegas Luxury Homes. 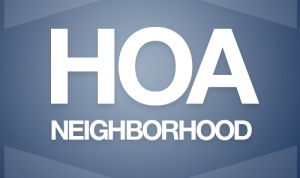 HOA management companies sued the state’s Financial Institutions Division after it came out with a declaratory order two years ago. The Nevada Supreme Court ruled FID didn’t have jurisdiction over laws in NRS Chapter 116, which govern homeowners associations. Now that the Real Estate Division has issued a decision, the FID should be able to enforce it, Premsrirut said. “Bottom line is HOAs are really exposed by millions (of dollars), and it’s the collection companies’ fault for misleading them,” he said.